The wedding is a very important occasion for every person. We all want everything to be absolutely perfect. 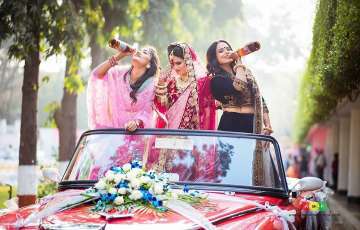 The demand for unique and different ideas for weddings have also increased. 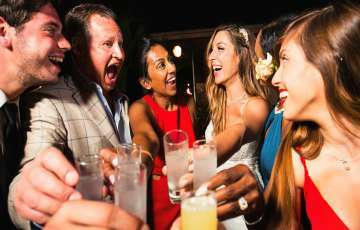 Of course, everybody wants their wedding to be the best of the year. Don’t worry, we have creative minds to help you in managing wedding celebrations in the best possible manner. One of such tasks is the wedding stage decoration. This is the part where you need expert advice. You cannot learn wedding decoration in just few weeks especially when you have many other important things to care about. 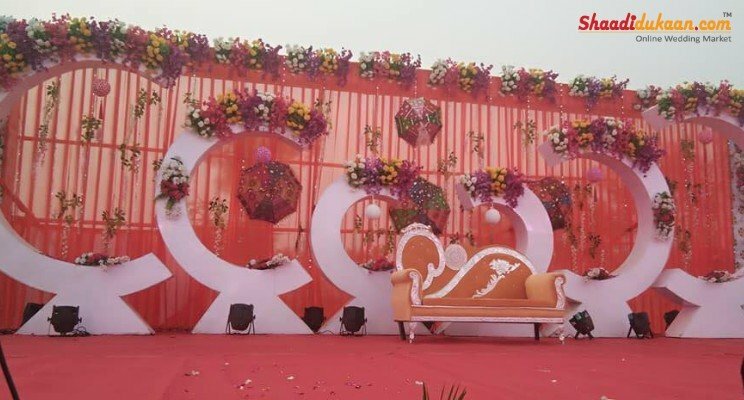 This is why people hire wedding decorators in advance in order to avoid any mistake and last moment troubles. 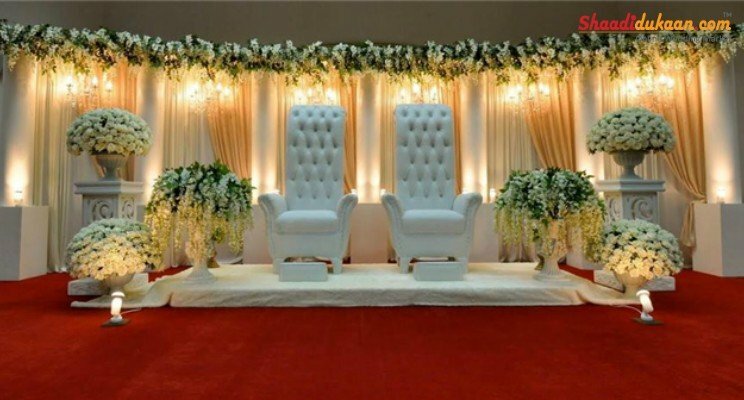 A wedding decorator understands his/her job, therefore their suggestions matter a lot. 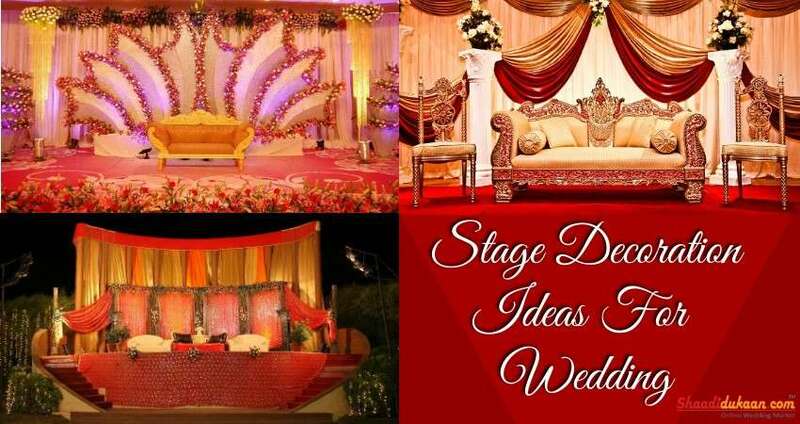 One of the most significant areas at your wedding venue is the stage. The stage is where the groom and bride are seated. This prime area needs additional attention. This spot is mostly used for clicking the pictures of the wedding which becomes the memory for the lifetime. 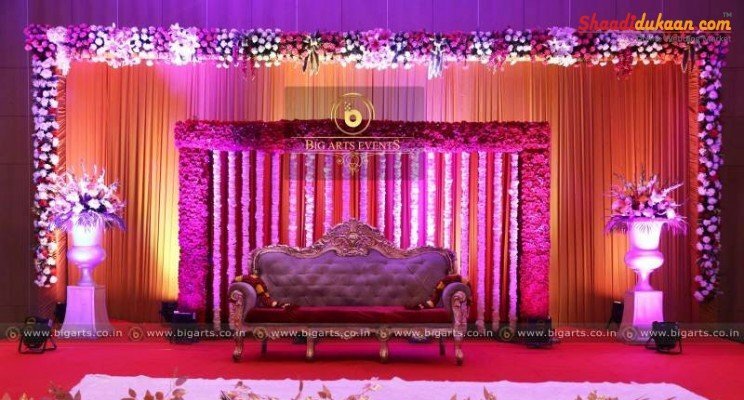 So, it is extremely important to choose the best option for your stage decoration. 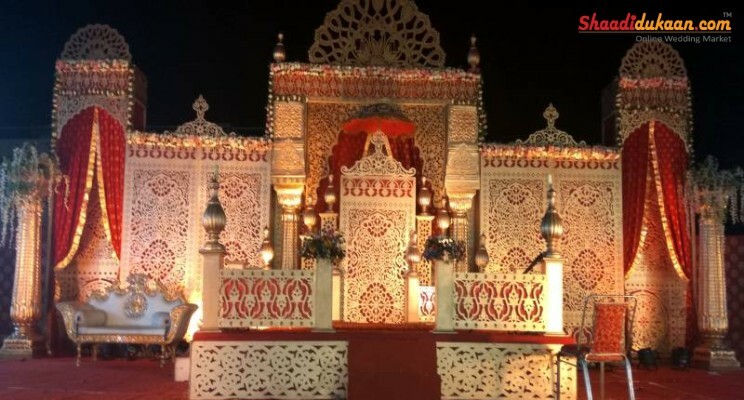 Here are some best stage decoration ideas and suggestions for 2019 that can match everyone’s wedding theme and preference. 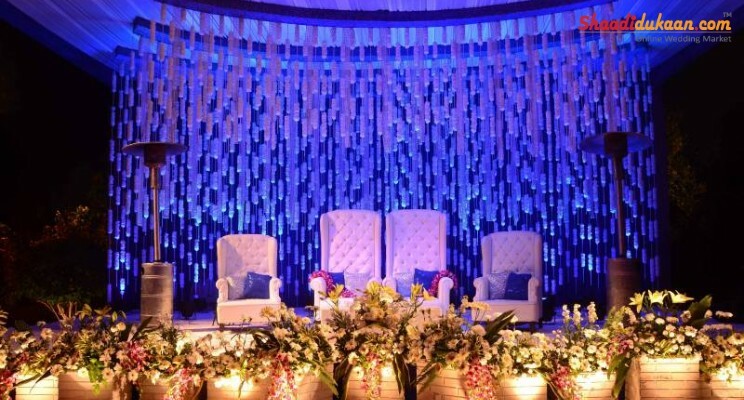 You can use these wedding stage decoration ideas for inspiration. Splendorous: You must have heard Grandeur stage décor! 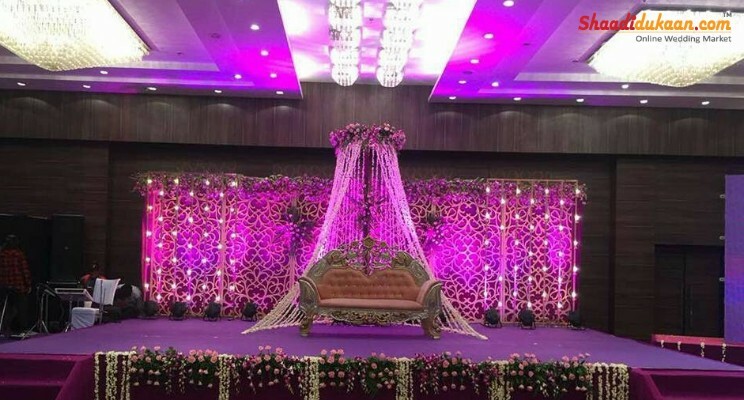 It is most sought after stage decoration that is trending in the weddings 2019. 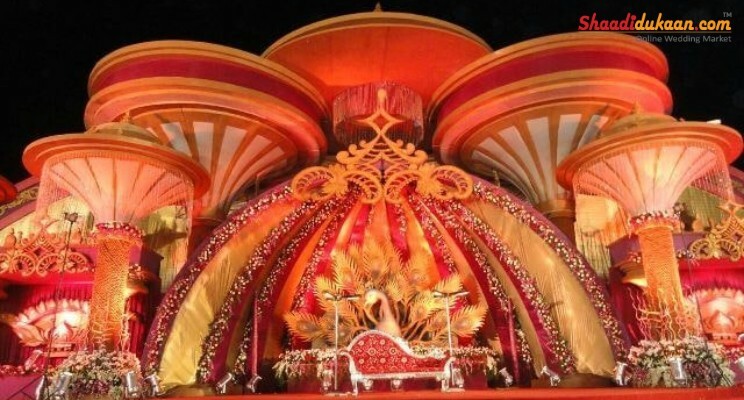 This is one of the best stage decoration ideas for marriage which deliver you with unique stage design and massive floral backdrop. It is a very classy and fun idea to try. Simplicity at its best: What can be better than keeping things simple and conventional at your wedding! 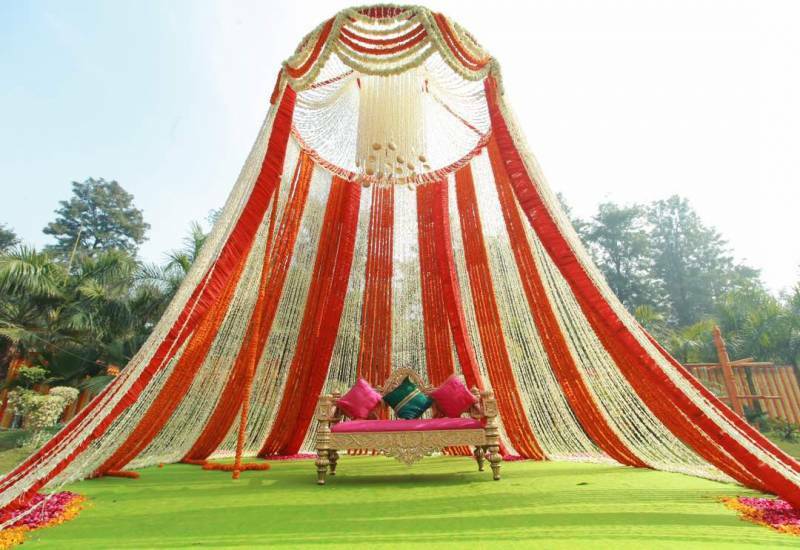 So, here’s a décor suggestion for you that will give your reception stage, regal look without much hassle. You can simply search on the web and hire them to create this design. 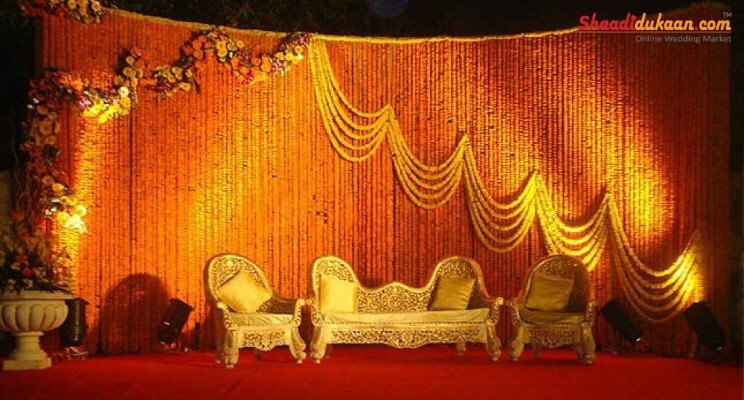 Vintage look: The Vintage décor created by golden drapes, flowers and lightning is extremely stylish and perfect! This is the best look for night wedding receptions especially when the event is located at lawn venues. 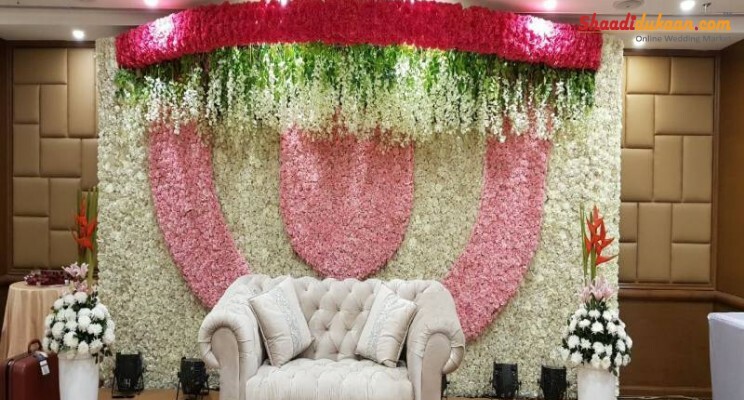 Floral backdrop: This is another way to say how special this occasion is for you. Multicolor flowers will say it for you. This is a very easy stage decoration idea, best for weddings that have less preparation time. 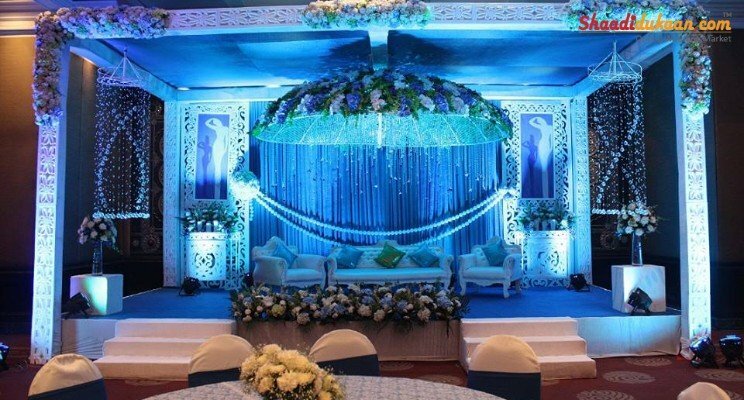 Chandelier Style: This is a perfect stage for you if you have always wished for a fairy tale type of wedding. 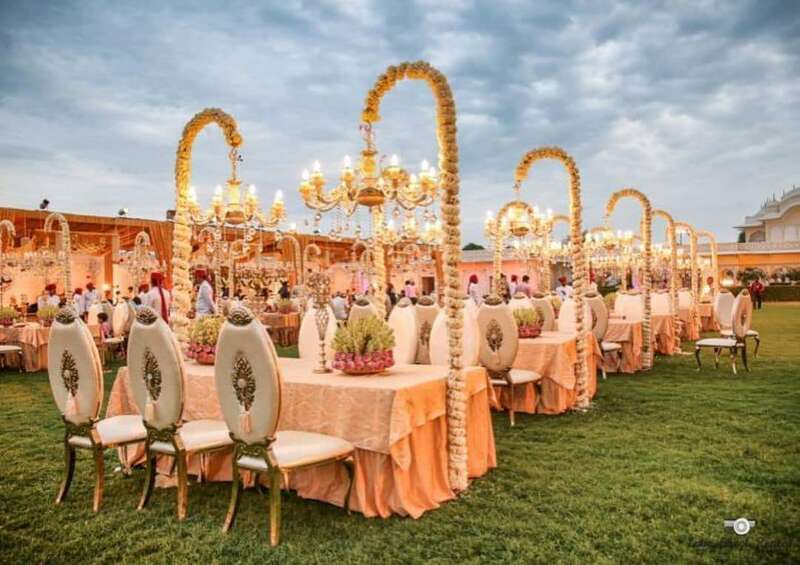 The perfect user of flowers to create a perfect chandelier and ceiling out of it the amazing ambiance that this design creates makes it one of best wedding decor ideas for the year 2019. 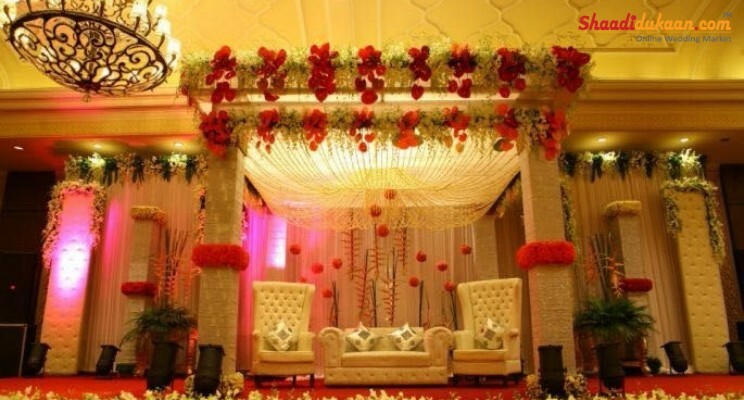 Charismatic: The great ceiling made up of beautiful flowers and magnificent pillars add class and charm to your wedding. 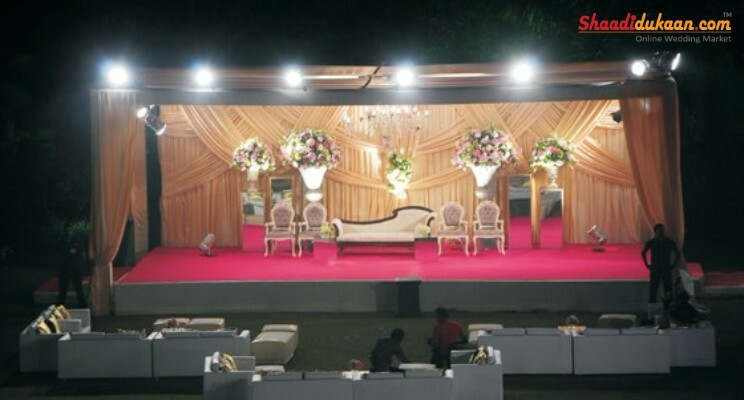 This will enhance the overall look of your wedding venue. Plus, it offers sufficient seating space for the bride and the groom and other important wedding guests. 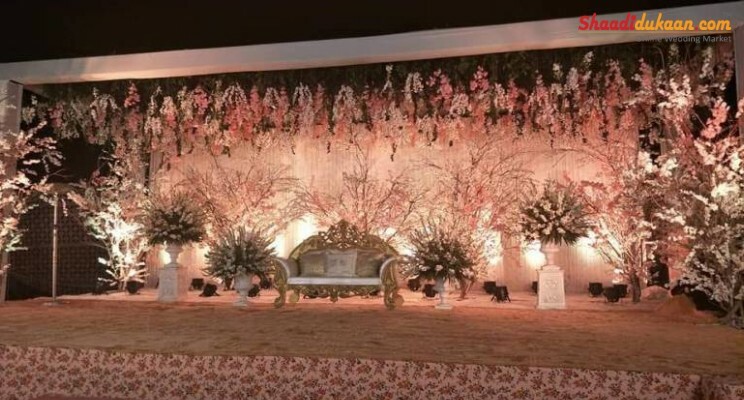 Perfect Contrast: With limited flowers, contrasting drapes and proper seating area, this suggestion is perfect for an imperial wedding in 2019. 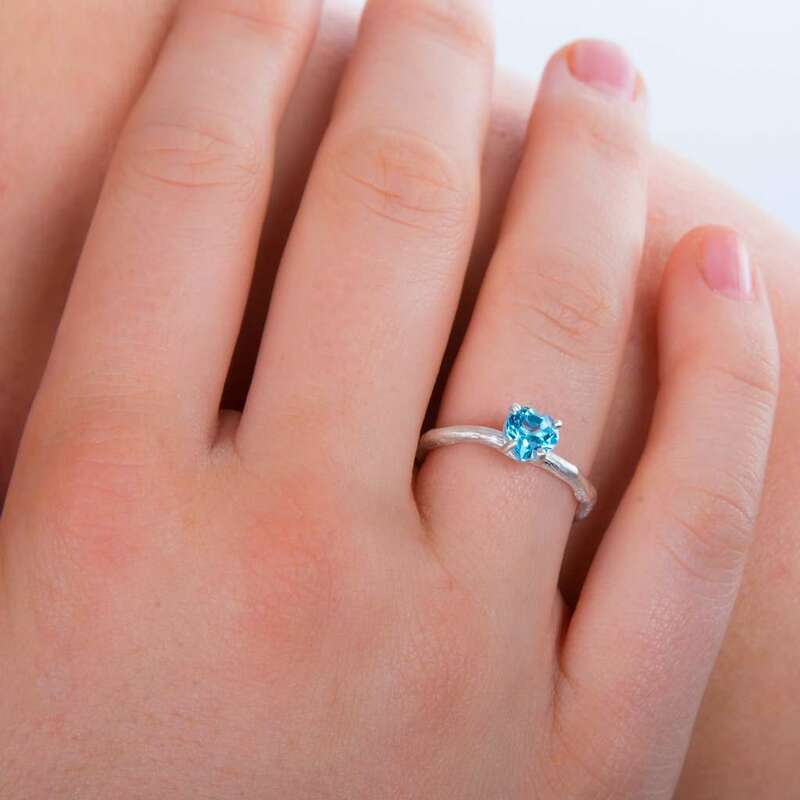 You can choose different contrasting colors also, as per your preference. 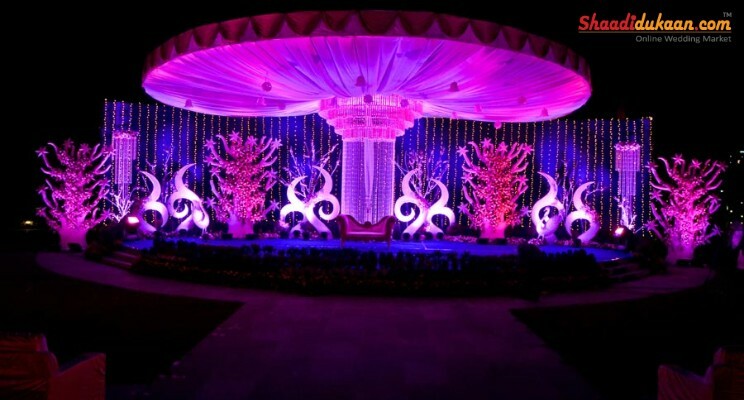 This design is easy to manage and gives a perfect wedding look as well. Magical look: This is a perfect look for people who want to do something unique on their wedding this year. This will give a chance to your loved ones to get some of the best clicks at your wedding. 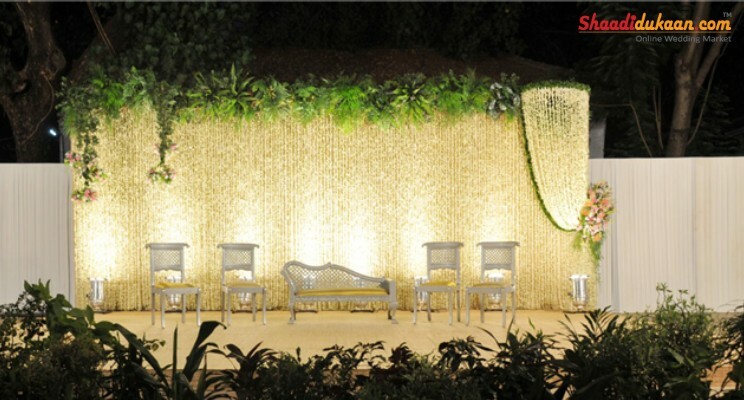 The magnificent wedding stage decoration idea is perfect for clicking a family photograph. Everything about this idea is so magical and dreamy. 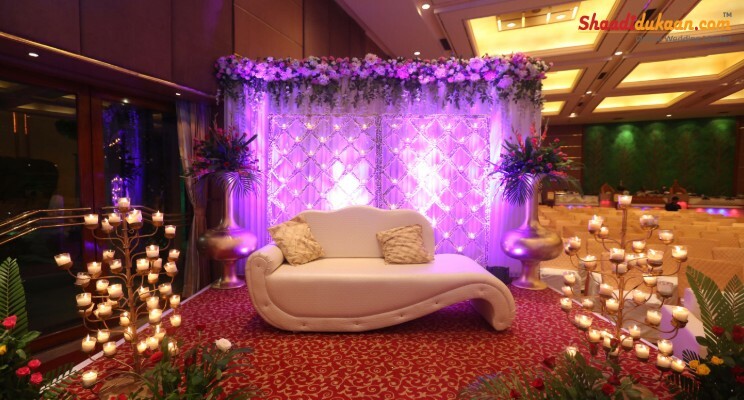 Playing with the drapes: This is giant drape frame which works as a great wedding theme for your reception décor. The elegant flower stands add graces to the overall look of the stage. The colors of the drape can be changed according to your taste. You can add more flowers if you want to, otherwise, this is a perfect stage backdrop especially if the wedding venue is an open lawn. Elegance: This trouble-free and minimalistic stage decoration idea makes the perfect flowers available in tricolors. This design is best for couples who do not like sparkling decors. 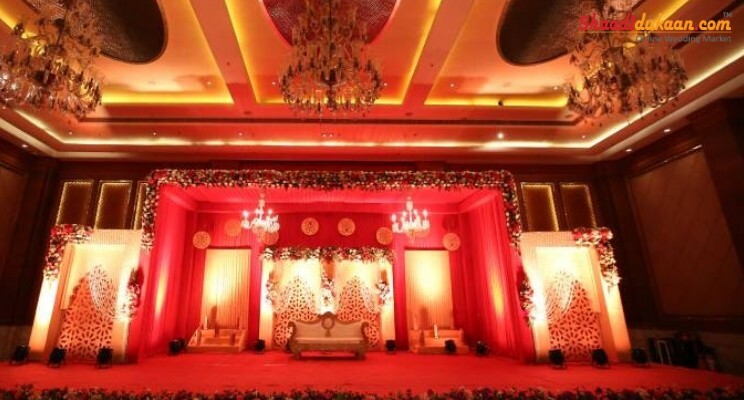 The flowers look absolutely elegant and this type of stage décor is best for banquet hall wedding venues. 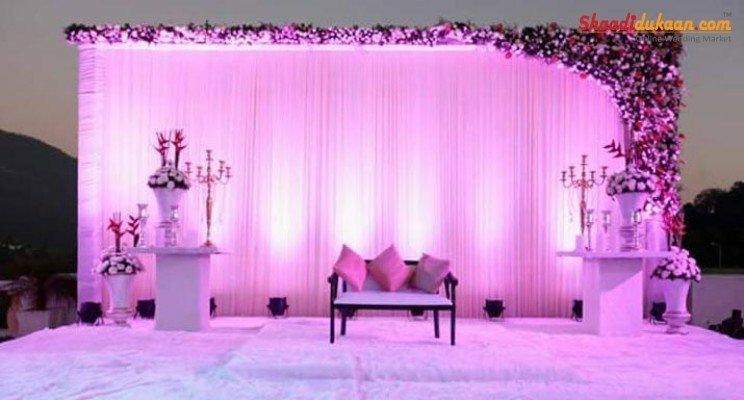 Small but sweet: If you are worried about limited stage area, then don’t worry this décor will make your stage look beautiful and perfect for weddings. 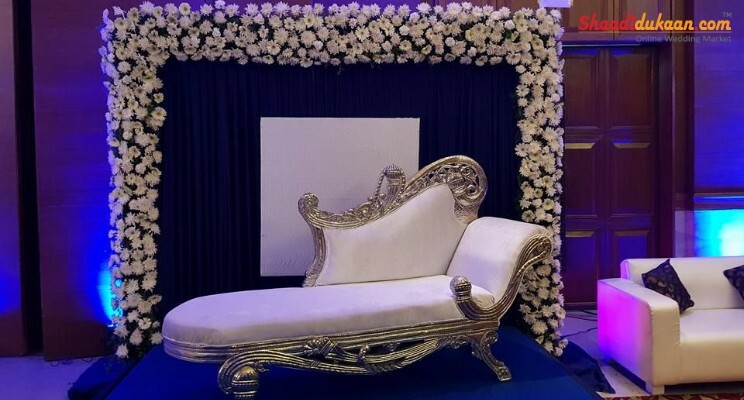 It is the perfect design for weddings with limited space. 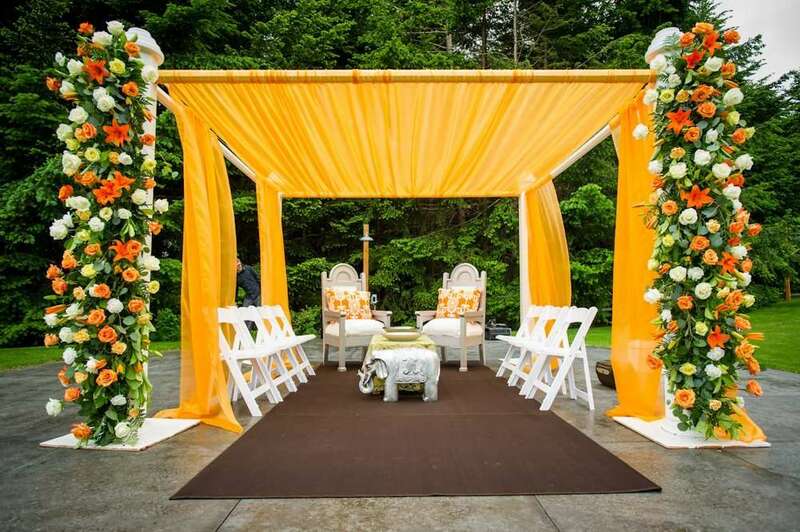 The choice of elegant colors and proper placing of flower hangings make it a good option for the wedding in 2019. These are some of the best stage décor ideas that can inspire you in designing something extraordinary. 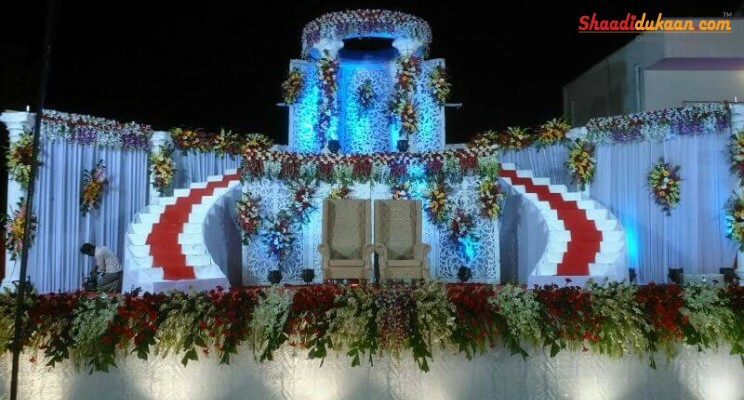 There are a number of ways through which you can create a wedding stage that is innovative as well as stylish and also unique at the same time. Things are changing at a fast pace. 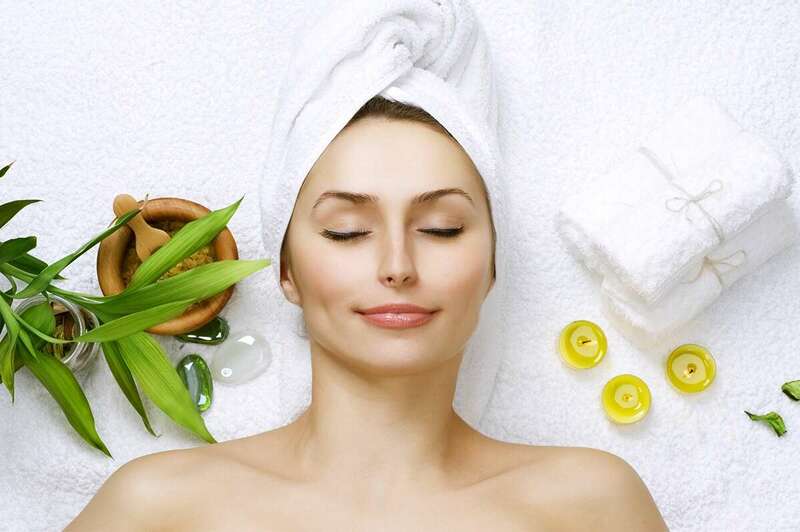 Therefore, we need more and more creative ideas to plan the best wedding. Since decoration has always been the most important task when it comes to weddings, therefore only expert advice should be used. 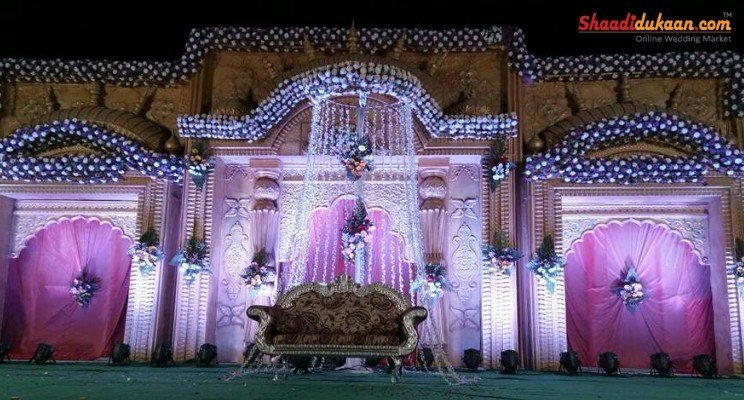 With the help of the internet, you can find many reputed wedding decorators in India who can assist you in planning the best wedding of the year 2019!! 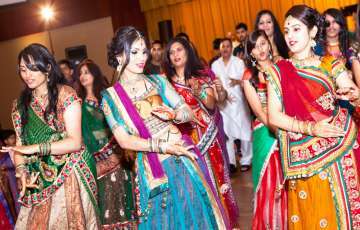 How To Organize The Perfect Wedding Sangeet Function? Bridal Guide: 7 Things To Know About Your (Lehenga Fitting)!